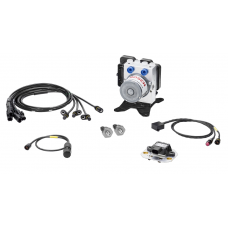 The Bosch Motorsport ABS M5 kit is developed for the operation in front-, rear- or 4-wheel drive veh.. The Bosch Motorsport ABS M5 Porsche Cup kit is a derivative of the successful ABS M5 kit and specifi.. The Bosch Motorsport ABS M5 Kit Porsche Cup is a derivative of the successful ABS M5 kit and specifi..